Colour BlockTrue reflection of personality & attitude. Put a stop to conformity. Black PantherStrike from the shadows – calm, collected, focused power. Breton Stripe- WomensFrom Napoleon to Coco Chanel. Earn your victory stripes. AuroraFuel your passion. Move at the speed of light. Energised from the core. Queen of the MountainChannel your inner Queen. Chase that Hors catégorie climb. Breton Stripe- MensFrom Napoleon to Coco Chanel. Earn your victory stripes. Fashion inspired styling. 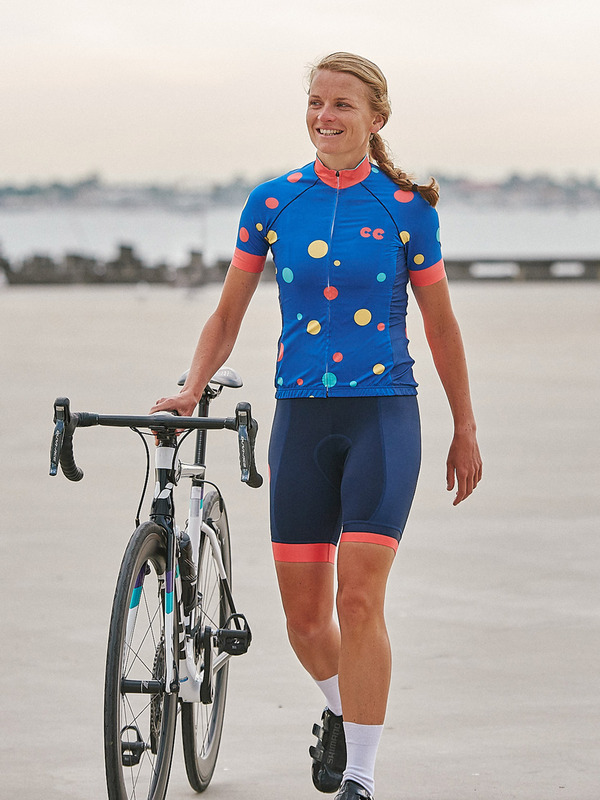 Race Ready Couture. Elevate your style game. Gain members only access to new products and EXCLUSIVE offers. 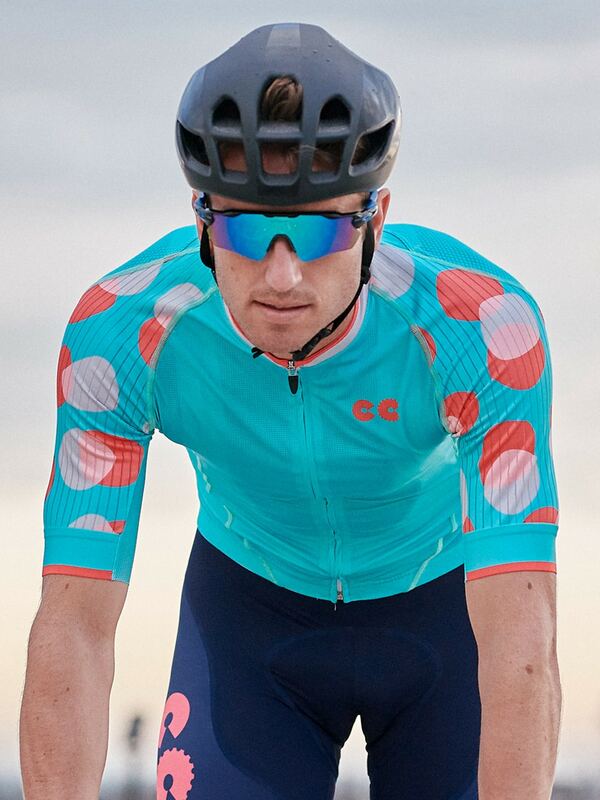 Dress in our race ready cycling kit that demands strong individuality, exceptional performance and the finest European craftsmanship. 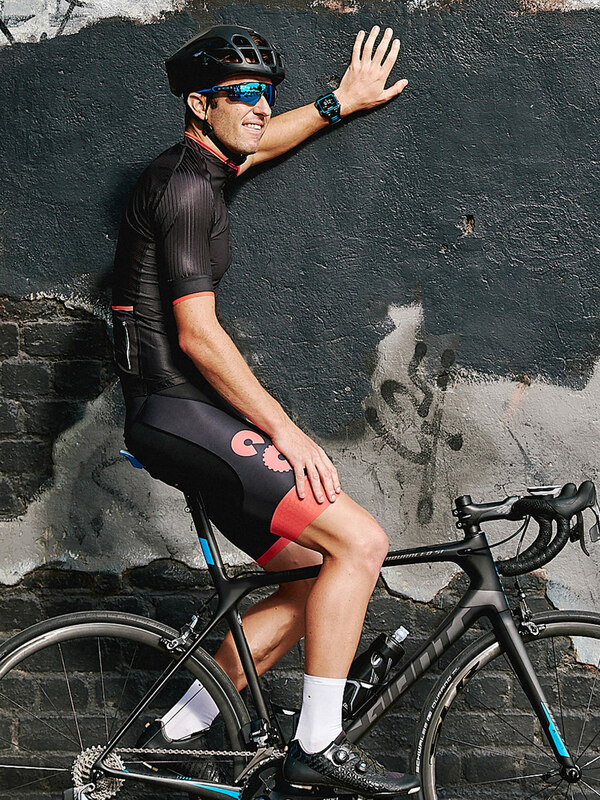 An anatomic cut for aero advantages and an exceptional contoured fit. 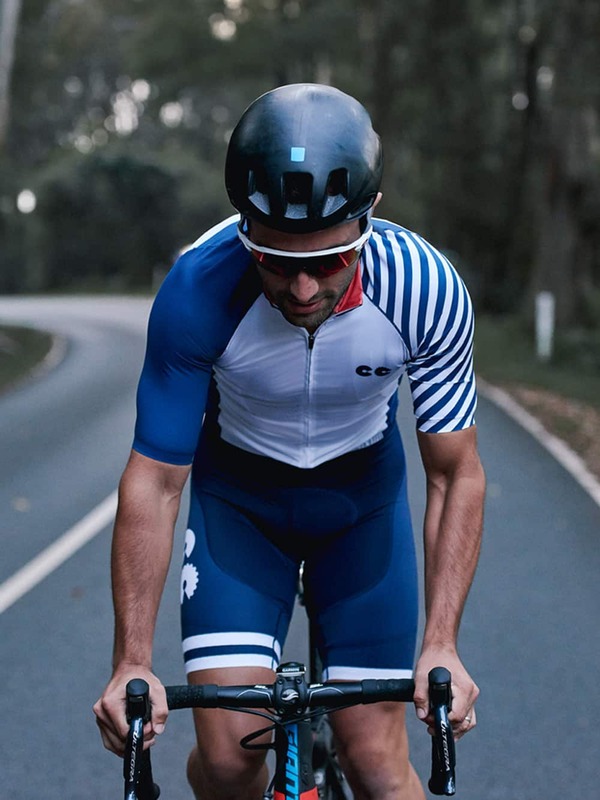 Multi-panel premium Italian performance and high elastic fabrics allow for the extreme freedom of movement with a feather light touch, whilst maximising wicking ability. 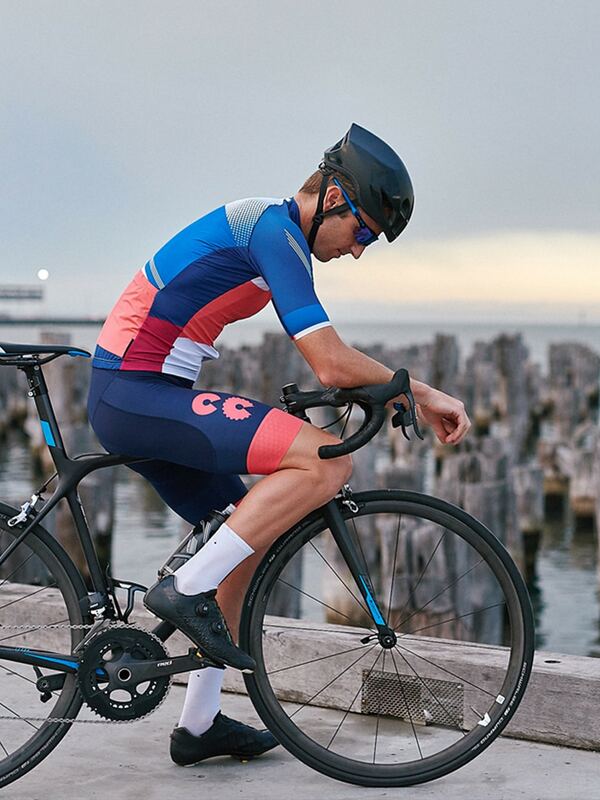 Finishing the comfort equation with our Signature chamois, exclusively designed and crafted in collaboration with the worlds best chamois specialist to provide ultimate comfort 7+ hr ride. Design in Australia, all handcrafted in Europe.